We're Back ! Guess What!? Only We're Hyped Up For Our Return Jokes Aside I Really Missed My Website and The Readers In Last Three Weeks But I was on a "BREAK" (reference from F.R.I.E.N.D.S) So, Sorry Guys I Haven't been updating this site regularly but I'm Back With My Favourite Thing To Write About - The MONDAY NIGHT RAW. Now, Coming Onto Tonight's RAW which will be a taped RAW as of Glasgow,Scotland Timezone. The Hype For Survivor Series will be on The Roll Tonigh The Canadian Bromance Couple Chris Jericho and Universal Champion Kevin Owens will entertain the Audience as they always do IT. 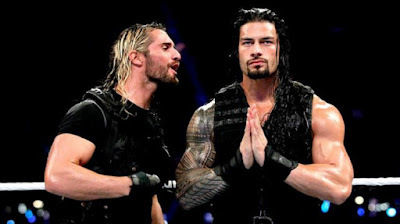 The Highest Expectation from the night is that Old Brothers From Another Mother Former Shield Friends will Reunite Yes, There is High Possibility of this Historic Reunion and WWE.Com is Teasing It so, You Don't Know What To Expect. Better Part of RAW Roster is Advertised For Monday Night RAW Tonight. Follow: @TheVitalClash On Facebook, Twitter and Instagram.